Dr. Rami Mizrahi, a native Israeli-born American citizen, graduated from the New York University College of Arts and Science in NYC, receiving his Bachelor of Arts degree, having majored in Biology with a double minor in Chemistry and Physics, in 1996. In the year 2000 Dr. Mizrahi received his D.D.S. degree from NYU’s College of Dentistry. 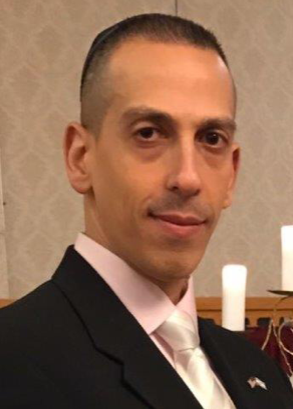 Upon graduation Dr. Mizrahi went on to serve our country in the capacity of his profession as a General Dental Officer on active duty in the U.S. Air Force, tending to the dental needs and well-being of the airmen stationed at McGuire AFB, NJ. In 2004 Dr. Mizrahi graduated from a two-year General Practice Residency at Brookdale Hospital, a level one trauma hospital in Brooklyn, NY. For the past nearly 20 years Dr. Mizrahi has been practicing general dentistry and is proficient in multiple disciplines of dentistry including fixed crown and bridgework, removable full and partial dentures, root canal therapy, simple and complex surgical extractions, as well as restorative and cosmetic dentistry. Dr. Mizrahi is a member of the American Dental Association, the New York State Dental Association, the Second District Dental Society, the Academy of General Dentistry and the American Academy of Implant Dentistry. Dr. Mizrahi continues to proudly serve as a member of the United States military presently serving in the Air National Guard as Deputy Chief of Dental Services at the 111th Medical Group, 111th Attack Wing, Horsham Air Guard Station, PA.
© 2019 1st Advantage Dental. All Rights Reserved.